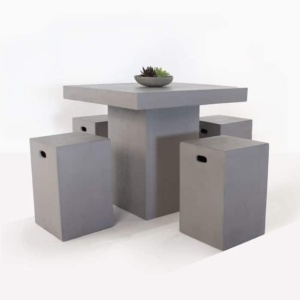 This new bar furniture set will glow in your outdoor space. 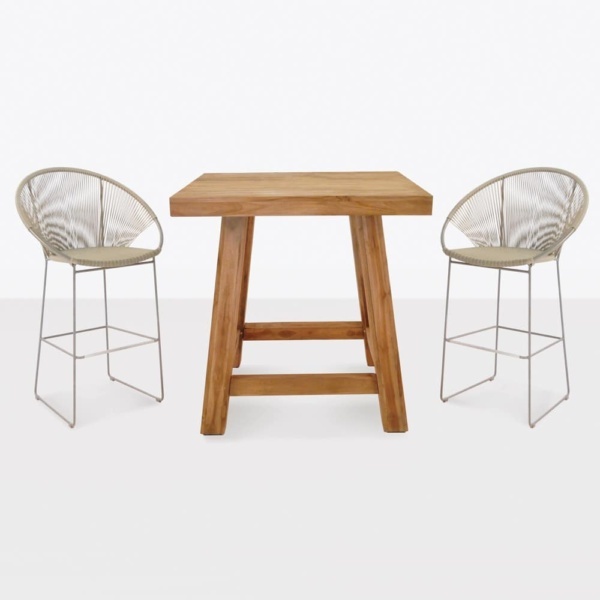 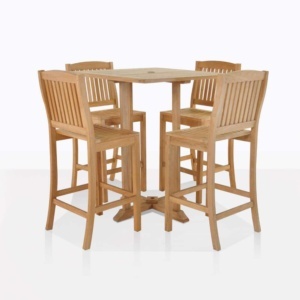 It combines a beautiful blond reclaimed teak bar table punctuated with the fabulous Pietro bar stool. The airy and contemporary bar stools contrast beautifully with the table. It’s an exciting and daring combination that results in a beautiful bar setting that is the perfect place to perch with your favourite cocktail.